I am a really boring eater. And honestly, it never bothered me before. But the other day, after asking one simple question, I realized that my family was getting tired of eating the same thing over and over. I asked them to list their favorite 14 dinner meals so I could make a dinner rotation in our meal plan. And I got BLANK STARES. I realized that just because I don’t mind eating the same thing over and over again, it was one of my duties as our primary cook to mix it up a bit for them. And hence… one of my 2018 resolutions was born. PS I challenge you to ask your family the same question and see what they come up with. You’ll either realize the same thing I did or get a good idea of the stuff they like. I don’t often make New Year’s resolutions because I am always goal setting. I follow the 12 Week Year Model and am constantly working to improve in many areas of my life. But sometimes, my homemaking goals get pushed to the backburner so I can focus on my work ones. This year, I decided to make it equally (if not more) important to focus on goals and resolutions that have a positive impact on my home. Things like cooking and cleaning are never on the forefront of my mind and just not a huge priority for me. Now making my family happy? That’s ALWAYS at the top of my priority list. Therefore my goal this year is to mix up our meal plans, get more creative in the kitchen and MAKE ONE NEW RECIPE EACH WEEK. I’m going to pick one cookbook to pick my recipes from to mix it up otherwise, I could get too hung up on searching Pinterest, making the same types of recipes over and over again (hello Tacos), and push myself out of the comfort zone. Once I shared this with my family, they got super excited. Dean loves playing around in the kitchen and loves good food even more. And my 2 year old has begun helping me out a ton with cooking and baking so I know this can be fun for us. It easily fits into my healthy eating goals and portionology eating. The recipes are pretty simple and family friendly. They have a corresponding TV show and grocery lists for each of the recipes on Beachbody on Demand (where I stream my workouts) so I can watch a 4 minute video before cooking to get ideas! If you want to try Beachbody on Demand and get the Fixate Cooking Show just click below and get a 2 week trial! You can also just grab the Fixate cookbook and try it with me right here! The one thing I always hated about trying new recipes is finding one I love and forgetting where I pinned it or printing it out and it getting accidently thrown away or having papers clutter my counters or drawers. This year, I’ve decided to come up with a system that will work best for me to meal plan each week easily and keep my recipes organized. I recommend a two-fold approach when organizing your recipes. The first one is to keep an electronic record of which recipes you tried and LIKED. If you are finding recipes on Pinterest vs. using a cookbook than this approach will work for you. The thing is, if you make a similar resolution to me and try new recipes each week, you will find recipes you don’t like. There is no need to save those recipes except for the fact to remind yourself not to make them again. I suggest making a Pinterest board and saving the recipes you like so you can always go back to it or share with a friend. I suggest making two boards; create one board labeled ‘meal ideas’ so you can save recipes you want to try and make one board and label it “2018 recipes” where you can save the ones you’ve tried. This approach works because, if you go to pin something to your idea board and already tried it, Pinterest will remind you and you won’t bother repinning. I am also working to create a fabulous family recipe binder. I don’t have many recipes that have been passed down in my family and I don’t remember cooking much as a kid. One thing I want for my kids is to have meals we’ve made together, ones they can cook with their kids, and a record of what they liked so that I can repeat the meals now. I also want to make weekly meal planning easy and, by creating a binder, I can keep all of the recipes they love in one place to choose from. I made this printable recipe binder that you can download below and that I plan to use to organize my recipes. To keep organized all you need is some dividers and sheet protectors. I recommend sheet protectors because not only will they keep you organized, not require to find a hole puncher but also keep your recipes clean while cooking! Everytime you make a recipe that the family likes, add it to the appropriate section of your binder to keep and go back to. Each week when you sit down to make a meal plan, you can go back add in your typical meals, one or two from your recipe book and one new one. This makes it super simple to just go through your binder and plug in recipes. My hope is that I’ll be able to have a full binder by the end of the year full of recipes that my family loves and allowing me to make meal planning super easy! I also plan to blog all the ‘winners’ each week (I won’t bother you with the flops!) over on the Healthy Living Page! Feel free to check them out to get some ideas or download the free cookbook binder to create your own! If you create a binder, I’d love to see it! 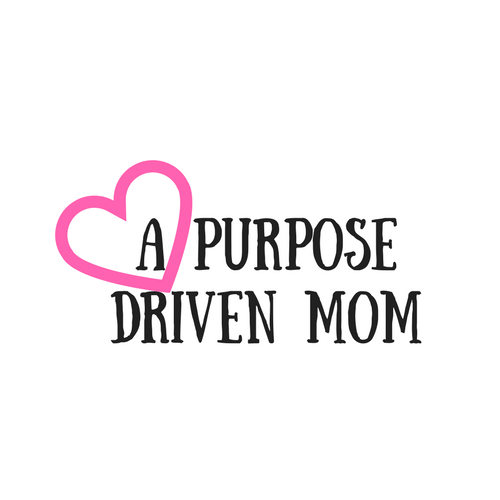 Post it over on Instagram and TAG ME (@apurposedrivenmom). Comment below and let me know what cookbook you’re working through this year! Not sure where to start?? Head over and get this free meal plan + 50 recipes to get moving and grooving! Leave a Comment or Question! I'd love to know what takeaways you had from this post! Ready to Conquer that Kitchen Clutter? Grab this printable chart and schedule out 15 minutes a day! Pick a square or go block by block and in 24 days you'll have a clean and organized kitchen!